WASHINGTON, Jan. 30, 2013 /PRNewswire-USNewswire/ — SHOUTAmerica, a non-profit organization focusing on the healthcare issues affecting young Americans, has unveiled a new calculator to help estimate costs of the looming health insurance rate hike that could soon hit many younger Americans. The SHOUTAmerica calculator is now available online at http://youngforaffordability.org/. The new SHOUTAmerica calculator is designed to help young Americans who purchase individual policies estimate the cost of their health insurance in 2014 – based on their age, income, where they live, and other variables – and also identifies whether they are eligible for other coverage options in the individual market. The tool demonstrates potential increases in individual market insurance premiums, which could spike by as much as 42 percent or more. SHOUTAmerica believes this will discourage younger individuals from participating in the system. Beginning on January 1, 2014, new federal rules on how health plans price their coverage, including changes in how policies are priced for younger and older people (i.e., the 3:1 age rating requirement), broader benefit packages, health insurance taxes and other changes will cause insurance premiums to increase dramatically for younger, healthier Americans. Are Minimum Premium Plans Making A Comeback? In the late 80’s Minimum Premium plans were offered by carriers as a method to entice plan sponsors from self-insuring their group medical plans. Self funding was becoming increasingly attractive to some employers and carriers were worried that they would lose the “float” generated by fully-insured cash cows. Competition brews innovation. My employer knew that a Minimum Premium Plan allowed full book value in year end financials, while ASO administration fees (self-funded plans) eroded corporate financials. Minimum Premium Plans began to fade in the 90’s and eventually became extinct. Self-funding grew in market acceptance because plan sponsors realized the difference. But now we see a resurgence in Minimum Premium Plan offerings. It is our understanding that Humana, Aetna and Cigna (Cigna Funding Alternatives) are actively marketing Minimum Premium Plans in select markets. Could this be the “last gasp” for carriers under ObamaCare? “TO AVOID OR NOT TO AVOID PPACA FINES, THAT IS THE QUESTION” – WILLIAM SHAKESPEAR JR.
RiskManagers.us has designed a new and innovative group medical plan for those employers who wish avoid punishing PPACA fines and sanctions but are concerned about costs. The question employers have is “Are ObamaCare fines less or greater than the cost of providing health insurance? Editor’s Note: Taking Advantage of Loop Holes Is The Ultimate Sport For Non-Conformists. A 2,700+ page law is bound to have some serious loopholes one can seize upon. We love the challenge. “To try and get a handle on rising costs, the Obama Administration will start to go after the healthcare providers. ” Medicare +40% (see article below this one) is going to begin to look damn good to the provider community. Bill, very good article in the Cincinnati newspaper today on no network/medicare plus maximum allowable reimbursement. Mueller is leading the charge up there. Editor’s Note: Don Pedro is a renowned South Texas sage. Don Pedro sounds like a liberal – Homer G. Farnsworth, M.D. 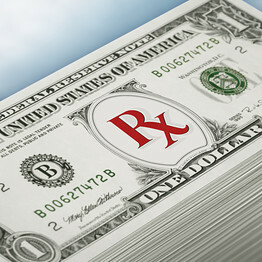 Recently we posted an article entitled “How Minimum Value Mandate Will Affect Cost Plus Health Plans.” http://blog.riskmanagers.us/?p=10334 The accuracy of the article depended upon verification from the Office of the Division Counsel/Associate Chief Counsel (Tax Exempt & Government Entities) at the Internal Revenue Service, 1111 Constitution Avenue, Washington, DC. As directed in IRS Notice 2012-31 we called them at 202-927-9639. An answering machine verified we reached the right office, but since there was a backlog of calls to return, the machine voice said that our call would be returned in the order it was received. We have been waiting for a return call since. Is this any indication of what is in store for us when ObamaCare kicks in at full strength in 11 months? 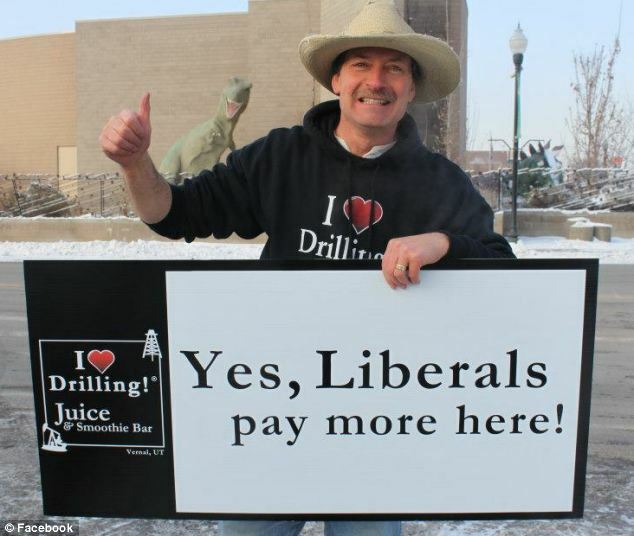 First owner George Burnett charged liberals a dollar more than conservatives at his Vernal, Utah smoothie shop. Now, another Utah business owner — evidently inspired by that political stand — has fired two employees for supporting President Obama. And it’s all completely legal. Kelsey-Seybold Clinic, the nation’s first accountable care organization accredited by the National Committee for Quality Assurance, and Boon-Chapman, a Texas-based third-party administrator of employee benefits, announced a partnership to deliver Kelsey-Seybold’s “KelseyCare” health benefits plan to partially self-funded employers in the Greater Houston area with 50 or more covered employees. 11 Months Until ObamaCare Is Fully Enacted – Do You Know What To Expect? As the full enactment of Obamacare approaches, there are many factors that business owners know to look out for. Do I need to provide health insurance to my employees? Should I go to an exchange? How will the mandate impact my business and profitability? How much are my health insurance premiums going to go up? These are all questions that many business owners are starting to look. Below are some points that you may not have thought of that should go into your business planning. Attention Bidders: McAllen ISD INVITES your bid on RFP No. 2012-096 – Self-Insured and Fully Insured Health Plan and Related Services. BIDS three (one copy should be hard copy, and the other two copies are to be submitted on CD or FLASH DRIVE in one (1) single file) SHALL BE RECEIVED at Purchasing Services, 4309 Warrior Drive, Bldg. C, McAllen, Texas NO LATER THAN: 3:00:00 PM local time, Wednesday, February 13, 2013. Bids received after this deadline shall be considered void and unacceptable and will be returned upon written request at bidder’s expense. McAllen ISD will not be responsible for mis-sent or misplaced proposals. Unsigned bids shall not be considered. FACSIMILE TRANSMITTALS SHALL NOT BE ACCEPTED. (digital signatures will be acceptable). The specifications will be available to interested parties on or after January 16, 2013. The Request for Proposal package will ONLY be available online. To obtain a copy of this RFP, please register at https://www.publicpurchase.com/gems/register/vendor/register. Any questions regarding this RFP must be emailed through the “Questions” option located within the solicitation posted on The Public Purchase website http://www.publicpurchase.com/mcallenisd,tx no later than 10:00 AM, Wednesday, February 6, 2013. Questions/clarifications regarding this bid will not be answered by phone. McAllen ISD is on Facebook. You can also follow us on Twitter by texting “follow McAllenISD” to 40404. Editor’s Note: Placing a bet on Aetna may bring odds of 20 to 1. The Texas Health Affiliate Plan offered through collaboration between Aetna and Michigan Employee Benefits Services (MEBS), the VEBA Trust Administrator. The Texas Health Affiliate Plan is a Voluntary Employee Beneficiary Association, VEBA plan. As a Trust, its members realize purchasing power to buy benefits without losing their organization’s autonomy and ability to make benefit decisions. Unlike many VEBA plans, the Health Affiliate Plan provides access all of these benefits without losing autonomy. The Entity continues their own unique plan design and individualized reporting from a designated analytics professional, who can also help benchmark with other VEBA participants. This level of data and information transparency is simply not offered by other Trusts or Pools. Guaranteed cost for three years – Fixed Cost, Claim Cost and reserves. Cathy – This model is very intriguing. Providers spend tremendous amounts of money trying to collect payments from insurance companies, in large part because many insurance companies in the healthcare sector, including the large influential carriers in my experience, are highly creative and aggressive in crafting reasons to deny or delay claims reimbursement without regard to the accuracy, legitimacy, or timeliness of the claim submission. If that process and the associated costs can be eliminated, or at least mitigated, thereby allowing providers to expend fewer dollars on collections efforts, providers could obviously afford to accept a lower fee for each service. The success of the model clearly hinges heavily on the claims authorization/payment process and a mutually-acceptable fee schedule, but this model has the potential to bring about real savings, unlike the “fixes” we are seeing come out of Washington and the alleged cost savings we will reportedly experience with the AFA. Health-insurance premiums have been rising—and consumers will experience another series of price shocks later this year when some see their premiums skyrocket thanks to the Affordable Care Act, aka ObamaCare. The reason: The congressional Democrats who crafted the legislation ignored virtually every actuarial principle governing rational insurance pricing. Premiums will soon reflect that disregard—indeed, premiums are already reflecting it. In launching this exchange, Mercer joins other companies large and small building their own health care exchanges, a key element of President Obama’s health care reform legislation. IRS To Employers: Pay ObamaCare Share Responsibility Or Else! As if concerns about the fiscal cliff, debt ceiling, higher taxes and a potential recession weren’t enough to scare employers, the Obama administration has just handed them one more headache: an IRS warning that any efforts to avoid the ObamaCare mandate to provide coverage or pay a penalty (or is it a tax?) will not go unpunished. Do Hospitals Lose Money On Medicare Patients? Do hospitals, as they are quick to point out, lose money on Medicare patients? According to information available at www.ahd.com , some do and some don’t. Some hospitals are more effecient than others. But, what is the overall truth? A 2010 Report To Congress: Medicaree Payment Policy is an interesting read. To answer the question posed here, go to page 51 and view Tables 2A-5 & 6. Hospitals who lose money on some patients must make it up on others. That is common sense business logic. Yet if the overall margin is -8% on Medicare business, paying hospitals on the commercial side at 120% of Medicare seems fair. Or should that be 125%? Or 135%. Or, as we find in the managed care contracting world, 200% and more, sometimes much more. Somewhere in the commercial payer market is a magical hospital reimbursement percentage that is forever elusive. Employees at various Wendy’s restaurant locations in Nebraska will work fewer hours this year, reportedly due to costs associated with Obamacare. Although hospitals wouldn’t call it a sure win, the fiscal cliff deal that avoided severe cuts to the industry suggest that hospitals are still one of the most powerful lobbying groups on Capitol Hill, Politico reported. The chart shows a couple of odd patterns at the 50-employee mark. First, there are sharply fewer employers (by more than a factor of two) with exactly 50 employees than with exactly 49 employees. Second, although the number of companies usually falls with the number of employees, there are actually more employers with 49 employees than with 45 employees. Dr. R. Joe Ybarra is one of the founders of ConciER, a medical franchise specializing in the practice of emergency medicine. State Sen. Juan Hinojosa will file legislation to carve pharmacies out of Medicaid managed care. He said turning the state’s Medicaid prescription drug program over to for-profit managed care companies has devastated independent pharmacies in Texas. Under managed care the state contracts the coverage for its 3.2 million Medicaid beneficiaries to heath maintenence organizations. Pharmacists complain that they can’t make money at $1.35 per prescription, down from $6.35 they were earning under the prior Medicaid contracts. Become knowledgeable about state exchanges. Calculate the minimum value of employer-provided coverage. Calculate the threshold for exceeding affordable employee contributions to the plan. Prepare employee communications about the existence of the exchange. Decide whether and how long to offer employer health benefits (pay or play). The chance that patients can virtually see a doctor–and have that visit paid for by their insurance company–has just dramatically increased. WellPoint, the second largest health insurer in the country, plans to include coverage for such telemedicine services in all of its employer and individual plans, reported The Wall Street Journal. WellPoint’s telehealth program, LiveHealth Online, will allow its members to connect with their doctors using a webcam, video-enabled tablet or smartphone beginning in 2014. It plans to launch the program in California and Ohio early next year and then roll the service out to its remaining 12 states by the end of the year. The virtual doctor visits should appeal to employers and individuals looking for “convenience and accessibility of care,” WellPoint’s Executive Vice President Ken Goulet told the WSJ. Initially, members can consult with their doctors using only webcam video, but WellPoint plans to add smartphone and tablet capabilities soon thereafter. Members will have access to these virtual visits every day between 7 a.m. and 11 p.m. and will owe roughly the same copayment as for the live in-person visit. WellPoint’s virtual doctor visit program is the latest and most significant sign that payers are moving toward telehealth, albeit slowly. Some payers, such as Aetna and UnitedHealth, provide virtual-visit services only as an option for certain employers. And Highmark launched a virtual physician visit pilot program in April for about 10,000 of its members at three Western Pennsylvania companies and one company in West Virginia, FierceHealthIT previously reported. Aetna has been fined $1 million by the Washington state insurance department because it has issued more than 7,000 health, disability and life insurance policies that failed to meet state requirements. Insurance Commissioner Mike Kreidler said Aetna sold many of its policies to out-of-state employers or through out-of-state trusts. Others didn’t include certain coverage mandated by state law, didn’t refer to the state appeals and grievance process or failed to obtain approval for rates and benefits, The Seattle Times reported. Because these policies didn’t comply with state law, Kreidler’s office asserted they were never official and even introduced significant risk to consumers of these health plans, reported Live Insurance News. Aetna agreed to the fine and said it will work to resolve the identified problems. The Health Affiliate Plan, offered through collaboration between Aetna and Michigan Employee Benefits Services (MEBS), is a unionized benefits administration provider (TPA) based in the United States. January 31, 2013 is right around the corner. This is the last day employers can supply 2012 W-2s to employees or–in the least–have the W-2s postmarked. Generally, employers filing more than 250 W-2s for the 2012 tax year are required to report the “aggregate cost of applicable employer-sponsored coverage” in box 12D on the W-2. The provision is currently optional for businesses who filed fewer than 250 W-2 forms in the previous tax year. Certain employers are exempt from this requirement in 2012.